By Amanda Glenn 4 Comments April 27, 2018 This post may contain affiliate links. A lot of women keep exercising when they are pregnant, right up until their baby is born. I am definitely not one of those women – the most exercise that I did while I was pregnant was walking over to the freezer to get more ice cream. 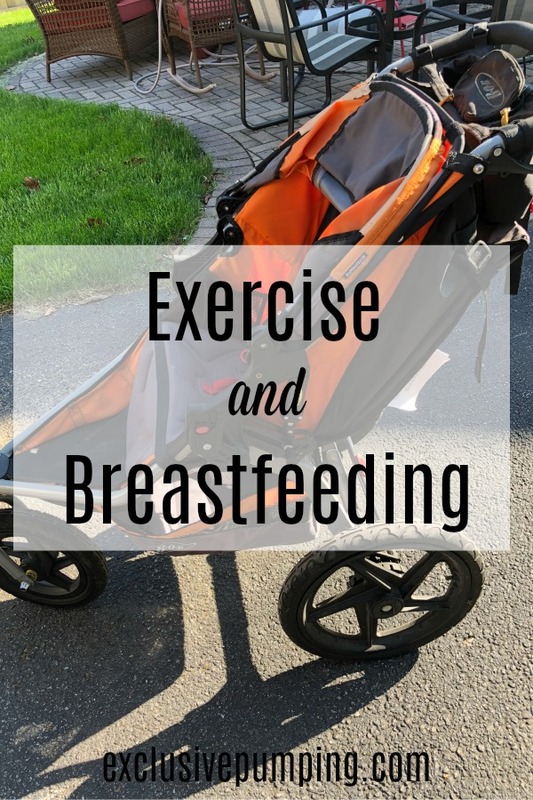 After I got the all-clear from my OB to start working out after my baby was born, though, I wasn’t sure what the deal was with exercise and breastfeeding. Exactly how many sports bras am I going to have to wear to keep the girls in check? Will I leak while I exercise? 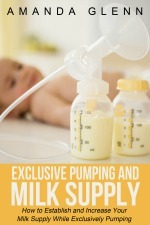 Will exercise and breastfeeding decrease my supply? Will the baby think my milk tastes bad if I exercise? When exactly is exercise going to happen? Before I got pregnant, when I worked out, I lifted weights or ran for an hour at a time, and now it’s a good day if I can get a shower in. For me, the two keys to staying comfortable while exercising (other than walking) is making sure my breasts are a) empty and b) tightly anchored to my chest. To achieve this, I try to do any exercise as soon as possible after pumping and wear two bras – first a sports bra, and then my normal nursing bra on top. This provides enough support. 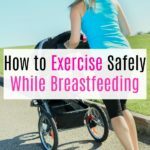 I had to invest in a new sports bra after my baby was born to make this work – I needed a larger size both because my breasts were bigger from breastfeeding, and because with all of the baby weight, I was a lot heavier. 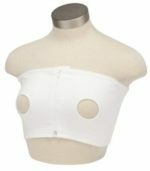 I don’t usually have issues with leaking, but I always wear breast pads just in case. What Will Exercise Do to My Supply? In short, good news – exercise should not affect your supply, either the output quantity or the composition. When exercise and it’s affect on breast milk has been studied, the results either showed no change or a slight increase in supply for moms who started exercising. The one thing to be careful of is to make sure that you are getting enough food to fuel your exercise. You’re already burning quite a few calories by breastfeeding, and you want to make sure you’re eating enough to keep yourself healthy. 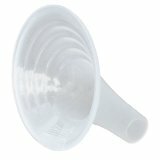 Will Exercise Change the Taste of My Milk? The only thing that I would watch out for is sweat – if you are sweaty after your workout, it might be a good idea to wash off with a washcloth before pumping or nursing, as your baby might not like the taste of the salt in your sweat. For the most part, working out with the baby meant talking long walks in the stroller. I invested in a jogging stroller, carseat adapter, and weather protector. (According to my pediatrician, jogging strollers can’t be used for actual jogging until babies are at least 9 months old, so I had to wait a while to start running again.) I live in Chicago and my baby was born in February, but I bundled both of us up really well and we went for walks all over the city. When my second was born, I got a double jogging stroller (pictured above) and now I do the same thing with both of them. The other option that worked for me was to do a short, intense exercise video like the 30 Day Shred. It is only 20 minutes long, but trust me, Jillian Michaels will own you by the end of it. Something short like this can be done while the baby naps (I often had to pause Jillian to replace a pacifier) or your partner, if you have one, takes a shift. I found it also gave me more energy to get things done around the house and with the baby when I’d finished it. 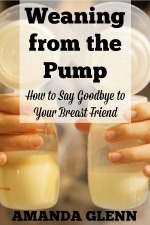 This was written as a part of a series about losing weight and breastfeeding. You can read about how many extra calories you need to eat while breastfeeding here and my experience with losing weight while breastfeeding here. I was literally just thinking I wanted to start exercising again and was thinking, how?? It really is a good day if I get in a shower! Your posts always come at the right time! Great tips, and I think I just have to start doing it to get a momentum in those small windows of the day I get. I have a jogging stroller as well and my son is 5 months old and even on walks his head bobbles around over bumps. So nice to know I should wait for him to become a little more sturdy to start jogging. I was SO SAD about that rule! 🙂 Using the small windows is key!! Thanks for sharing! I’d never heard that about a jogging stroller. I’ve been taking my son out on jogs since he was about 7 weeks in ours! He’s 4 and a half months now and seems fine. Did your pediatrician say why to wait until 9 months? Hi! It’s supposed to have something to do with weak neck muscles? I have no idea about how big of deal it is.